Laguna Woods’ United Mutual HOA board voted unanimously this month to adopt a policy to compel residents suspected of hoarding to allow the association to inspect their home. In the wake of the policy’s adoption, the HOA’s board of directors sought to assure the association’s members that the policy would not be abused and that members would not be subject to the HOA “breaking down” their doors. The policy states that once a complaint is filed by one of the association’s members, an inspection would be ordered of the residence where the hoarding is suspected. The HOA board must first get the resident’s permission to enter the unit for the inspection. However, residents who refuse the inspections will be called to a disciplinary hearing before the board. The policy is aimed at preventing safety hazards and protecting association property (the association owns all of the real property located within the development, including the residential units and the carports). 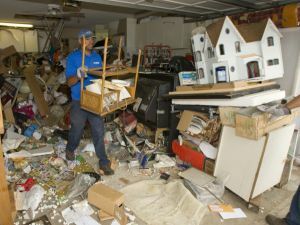 The Orange County Fire Authority (“OCFA”) receives more than a dozen calls each month from people reporting hoarding. The OCFA claims that roughly 30 percent of those reported instances represent a danger in the home or fire code violations. Additionally, the Orange County Health Care Agency’s Older Adult Services has reported receiving an average of over 200 reports a year of adults living in hazardous conditions because of hoarding. The policy, which is the first of its kind in Orange County, does seem to be based on legitimate safety concerns. However, associations should use extreme caution in exercising power over the contents of individual units. While safety concerns can justify the enforcement of many rules and regulations, the protection and respect of individual privacy rights are often paramount to maintaining community harmony.